Earlier this week, China’s national space agency celebrated the new year with a successful touchdown of an unmanned lunar probe. But unlike previous lunar landings by the United States and Russia, the Chang’e-4 module was able to navigate to the far side of the moon. The so-called dark side of the moon — which never faces planet Earth — presents unique technical challenges because of communication problems. But the Chinese have done it. And the achievement is being hailed as “a new chapter in space exploration”. 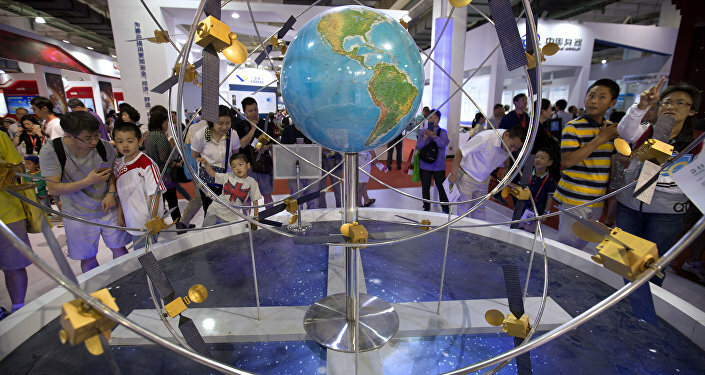 While the US and Russia have been the leaders in space technology for several decades, it is China that can now claim to be taking up the mantle in cutting-edge exploration. These three countries are the only ones that have put rockets and astronauts into space using their own engineers and technology. Last year, for the first time, China launched more space rockets than any other nation. It is reportedly planning to send another landing module to the far side of the moon later this year — Chang’e-5 — which will be able to take off from the moon’s surface and return to Earth. The timing of these space milestones could not be more appropriate. In the coming days, an American political delegation is arriving in Beijing to try to overcome the looming trade war between the two economic giants. The Americans want China to make big concessions in terms of buying more US exports and imposing curbs on their hi-tech industries. The trade war was launched by US President Donald Trump last year with punitive tariffs worth $300 billion slapped on Chinese exports. China has responded with its own counter-tariffs, and there are deep concerns that the dispute is damaging the global economy. The Trump administration has justified its bruising trade sanctions on China with claims that Beijing’s economic policies are “unfair” and that Chinese companies are involved in stealing American technology and abusing intellectual property rights. China rejects those accusations. Trump’s purported complaints against China are embarrassingly undermined by the successful Chinese moon landing this week. The scientific and technological capability to pull off such a feat is mind-bending. It’s not just in space exploration either. China’s planned economy, research and development is also reportedly breaking new ground in artificial intelligence, telecommunications, genetic engineering, and military missile systems. By contrast, American corporate capitalism has lost ground in nearly all areas. The predicament of American tech giant Apple is allegorical. Its products are vastly overpriced and flatlining in innovation, while Chinese state-owned companies like Huawei are becoming market leaders with affordable, smarter devices that consumers are increasingly being won over by. Not only are Trump’s allegations of Chinese unfair trade and theft of technology spectacularly disproven by the historic moon landing this week, the denouement also reveals what the American trade war agenda is really about. Washington is using trade tariffs and sanctions, as well as slanderous smearing, as weapons in order to illegitimately thwart China as a global rival. Unable to do it by fair means, the Americans are resorting to dirty tricks. The Americans can’t very well admit the plain truth — that their capitalist system is bankrupt and dysfunctional, and that they have lost their once-formidable innovative and technological energy. No, what the Americans must do is to disguise their diminishing strength by slandering perceived rivals: China and Russia in particular. What Trump is trying to do is hobble and hamper China’s economic and technological development through foul means. By claiming Chinese theft of American technology, Washington is aiming to crimp China with sanctions — sanctions that would otherwise be seen as blatantly illegal and warmongering. © AP PHOTO / MARK SCHIEFELBEINChina’s Rival to US-Designed GPS Tech Intent to Conquer WorldThe arrogant Americans can’t face up to the fact that their days of global leadership are over — through their own squandering of economic resources, illegal wars and other injustices. They want to make China and Russia impose limits on their own rightful development in order to revitalize the moribund American economy. This tawdry and dangerous American agenda of inciting global tensions with China and Russia is shown up for what it is by the historic moon landing this week. No wonder that China is over the moon.